Sending Joy will be available for purchase October 15th. CLICK HERE for further product details. Folded Pocket Tag Die will be available for purchase October 15th. CLICK HERE for further product details. Pleasing Envelopes will be available for purchase October 15th. CLICK HERE for further product details. Fawn & Flora will be available for purchase October 15th. CLICK HERE for further product details. You have until 7am ET, October 11th to leave your comment and be eligible to win. Only one comment per person please. One randomly selected winner will be posted on the October Release Winners Page by 10PM ET on October 15th. Awesome start to this release!!!!! Love Pleasing Envelopes! That may just give me the push I need to dress mine up! Oooo, I’m excited about the new pocket tag die! That will be very useful. The fawn set is adorable. Love the sentiments! The folded pocket tag looks awesome, and the fawn is just adorable! Great products for day 1. The Pleasing Envelopes set is amazing and so versatile. The Design Team knows just how to show off the new release and make us want them. I really like the pocket tag die. The other sets are great too. Wonderful additions to the PTI lineup. It is great to see the products are versatile, being able to use all year long. The dawn is so adorable. 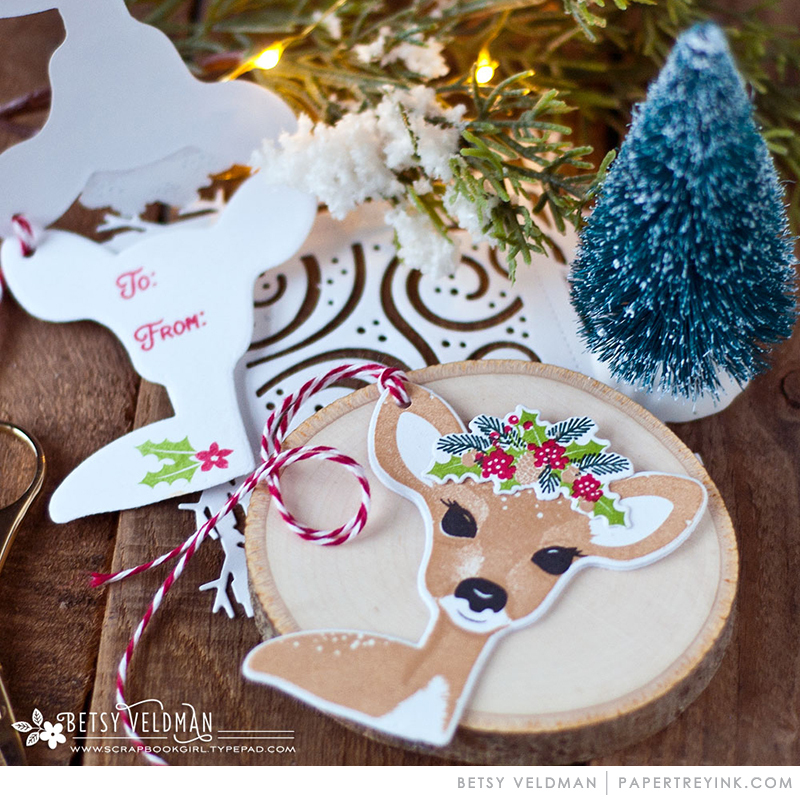 Love the Christmas inspiration….that deer is so cute! I love all the samples today. Already on my list and it’s just day 1. Ladies you are amazing! Loving every bit of this release. The design team samples are exquisite. I love that pocket tag and the fun trimmings for it! The envelope decorating stamp set is just beautiful! Another great release! The “Pleasing Envelopes” set is sheer brilliance! Love it! Cheers. Doesn’t seem to matter how many tag dies I have, you always produce new ones that I just have to have. Pleasing envelopes is an absolute knockout too. That fawn is enchanting! Love it on the baby card! What a wonderful start to Release Week! Loving all the versatile products shown today. Thanks PTI! I love the font of the Pleasing Envelopes set–so pretty and elegant. It is always a treat to see so much holiday inspiration! Such pretty projects; thanks for sharing! I love the tag pocket! So many uses. I also love the envelope set. Also so many uses! 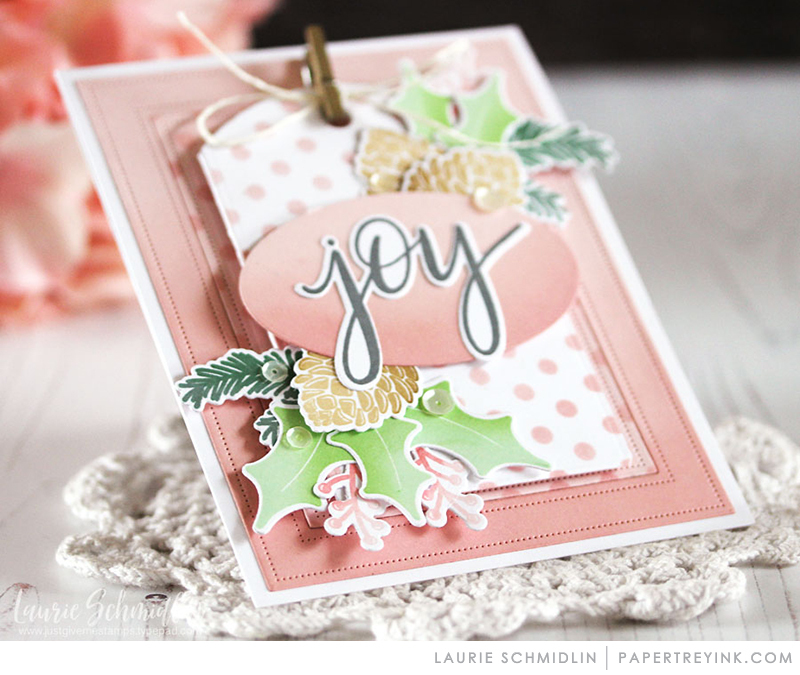 Love the pocket tag die and all the elements in the “Joy” set. Also the design elements of the envelope set. Great idea! Wow wow wow … always amazing and so excited for this release. 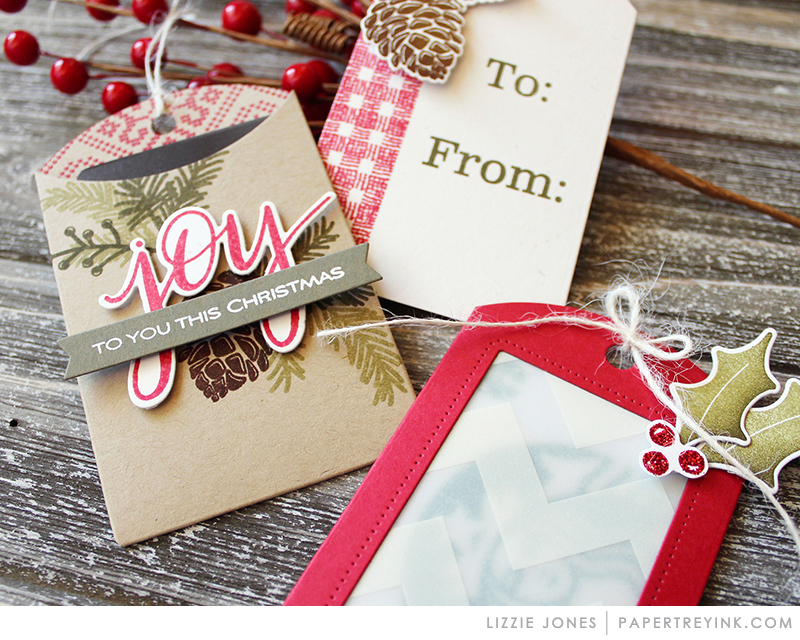 The Pocket Tag die and the Pleasing Envelopes stamp set is simply BEAUTIFUL. What a great start! 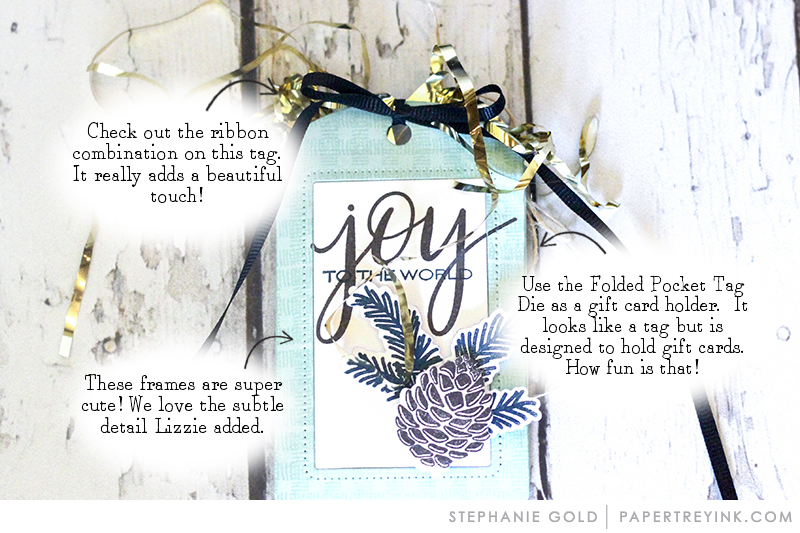 I love the Sending Joy and Folded Pocket Tag! Thanks! I can’t wait for the unveiling if the sneak peek products. There’s always something to love about the Christmas season! Again another great start to a new release. There are so many must haves in day 1 alone. The fawn has to be my favorite though, I appreciate that Betsy designed this to be used year round. Beautiful holiday products! Thanks for sharing all these gorgeous inspiration projects. Gorgeous new products!!! I’m so amazed!!! Pleasing Envelopes is a must-have for me! Pretty, pretty-I can’t wait to see the rest. As always, thanks for the helpful hints to make our cards more fabulous. Thanks for a great start to this release. Can’t wait to see more! Christmas crafting is my favorite! This time of year is usually all about the kids but I feel like a kid again, waiting with anticipation for the PTI releases. Then there is the release. And finally my order arrives so that I can play. Merry Christmas to me! Oh, as someone who always has a small herd of deer on my hill, I love that sassy deer! and the pocket die is fun too. Love the new envelope decorating set. So pretty. I like the little fawn set. I really liked Amy’s project. Like the new pocket tag die! The “Pleasing Envelopes” set is so very clever – I can see many uses for all the elements. Inspiring! Pleasing Envelopes is a great product. Love the fonts & the different decorative elements. 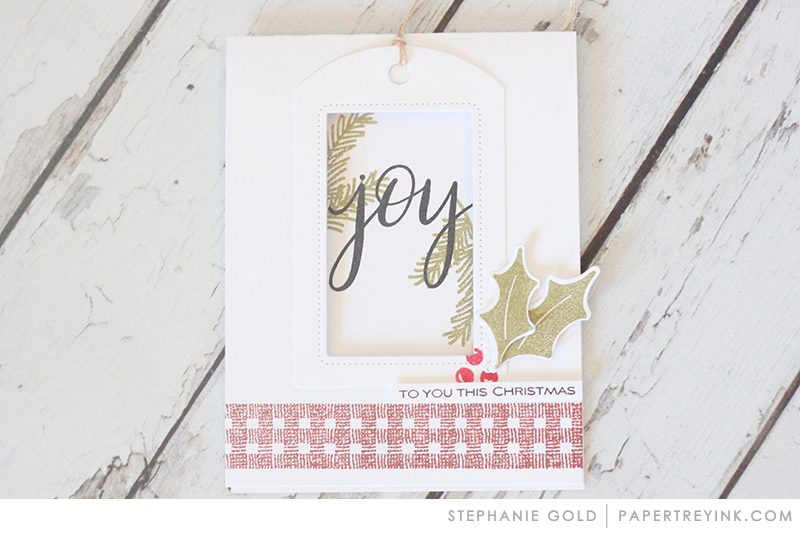 I love the simplicity of the Sending Joy set, and the beautiful creations of the DT. Also a huge fan of tags, and this new one looks to be a keeper! Loving EVERYTHING in today’s sneak peek! That fawn’s eyes! How adorable! Beautiful poinsettias. Anyone would love to get an envelope decorated like that in the mail! Wow so many amazing creations! I’m inspired! the Pleasing Envelopes set is, literally, to die for!!! Love Jennifer’s calligraphy! So beautiful! Love the Sending Joy stamp and die and the Pocket Tag die. So many pretty but also versatile sets today! I love the Fawn set…could be used for baby or birthday too. And that gingham oh my!! Looks like it’s going to be a fantastic release! 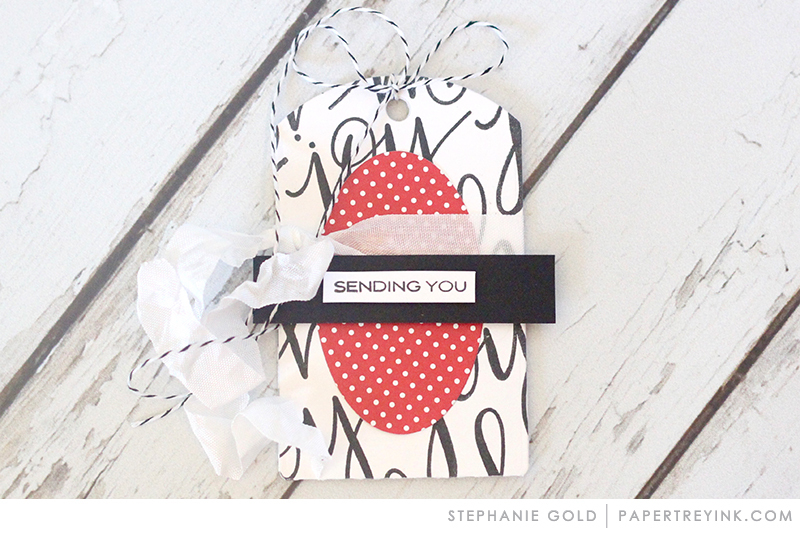 I love the “please deliver to” stamp and I think I must have the folded pocket tag die! Best Christmas release ever! The sneak peek blew me away. That fawn is just adorable! Fawn and Flora caught my eye during the sneak peek and today didn’t disappoint! Oh, my! I love it! I really like how Betsy made it into a tag, too! The deer is adorable and I love Pleasing Envelopes too! I’ve been hoping for another envelope set. Lovely new release. The design team projects are just delightful!! So inspirational!! The Folded Pocket die is my favorite! I’m so excited about this release; it will inspire to start creating holiday goodies. Oh my! The fawn with a Christmas crown is too cute and whimsical! Such a cute deer and love the tag set. Love how the release is presented in this blog! So many great ideas from the designers using these new products. Love the new things! Love everything on day one!! Excited about the pocket die!! Y’all make everything so appealing! Oh my goodness, that fawn is adorable!! Love all the inspiration and new products today. I love that you’re having special stamps for the envelopes! It’s a must to go with beautifully decorated cards! I’m glad you’re doing this! Love it all! That is an especially pretty color combination in Heather’s card and envelope using the Pleasing Envelopes stamps. 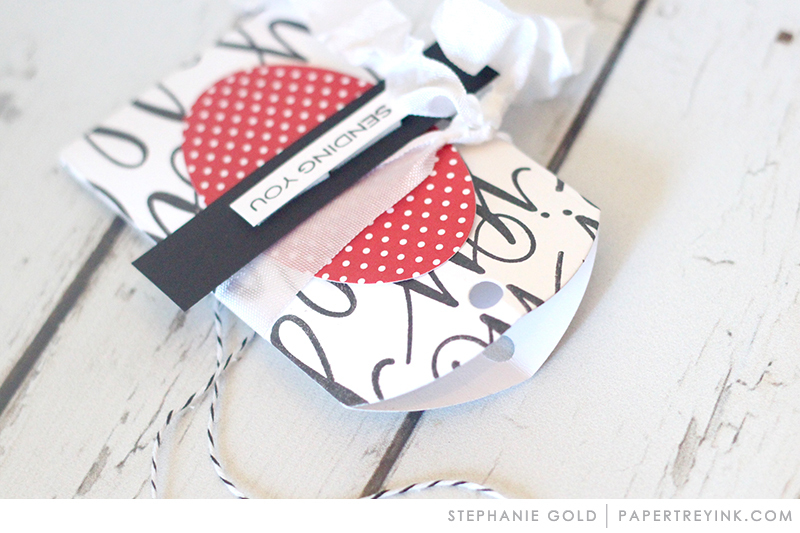 I love tags and the folded pocket tag holder for a gift card is very tempting! Day 1 and I am already over budget- I want it all! Such gorgeousness! I LOVE all the new products today! The folded pocket die and Pleasing Envelopes are must haves as I think I would use them year round. Thanks for all the inspiration! Too much goodness already! Wonderful projects today! Very tempted by the envelope set. OMG, love the new Fawn & Flora stamp set. Kim Crawford’s beautiful Penned Envelope set is a gorgeous must have. Dawns flower stamp set doesn’t disappoint either. The pocket die also is interesting oh my gonna be an expensive 10/15 for me! Beautiful holiday images and dies. Love the pleasing envelopes with the lovely poinsettias and greenery images. The folded pocket tag die is awesome. So many different ways to use it! So cool! Lovely samples ladies. Everything released today is so beautiful, and I am enamored B by that darling fawn! Day 1 and this release is already amazing! That little fawn is SO cute! So many exciting things today! I love the fawn and flora set! And the new pocket tag die is just amazing! Can’t wait to see more! Exciting first day for this month’s release. The tags are all so versatile, and I love the little fawn. Great designs. I love it all, but I have huge big doe eyes for that fawn and flora set. I adore it! This is the best Christmas release ever! Loving what I’m seeing today on Day 1! The Sending Joy designs does it for me. I love it’s simplicity. Wow — it’s only the first day and there’s so much to love! I think that envelope set is genius, and I would love to see those sentiments with non-holiday nature images. And the peek-a-boo tag is definitely on my list! Day 1: WOW-ed to bits! Very excited about what I see. 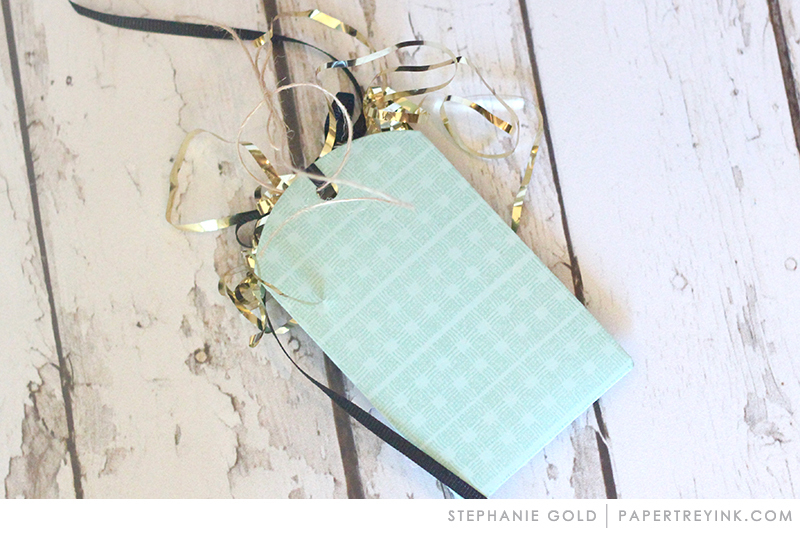 The fawn is a favorite, and so are the envelope and tag sets. Making my wish list and everything’s on it! Sending Joy is the answer to many winter stamping needs 🤗. Also the new folded tag, and of course, Betsy’s dear deer. Love the envelope art and the tags!! What a great way to make gift cards feel special. And the fawn is adorable! It’s only day 1 and already I want EVERYTHING! 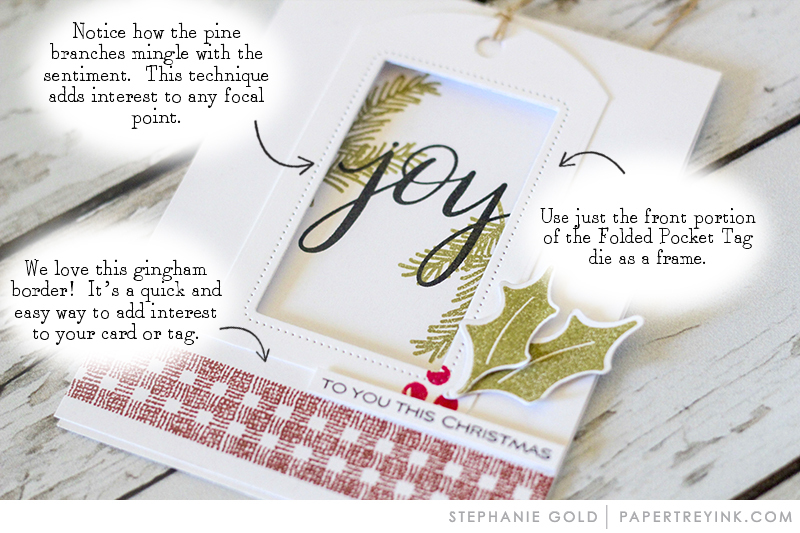 Love, love, love the poinsettias and the tag pocket die! That fawn is beyond cute! and the envelope stamps are an eye catcher too! LOVE the envelope idea!!! and the fawn is adorable, those eyes!! What a great Christmas release. That’s the most precious little fawn I’ve ever seen! Love everything!! Oh, I love everything shown today! My cart is going to be full again! So many beautiful stamps and creations! Makes me want to live in my craft room!! Oh my! I love the Pleasing Envelopes set and all the different ways it can be used. Beautiful! WOW! So so pretty. I just love the idea of the first card with the window and then the inside is also done at the same time! Such great inspiration! That Fawn is so cute! My favorite image from the release! Great job ladies. Gorgeous new products and I love all of the fabulous samples created by the DT! I especially love the fawn with those big, beautiful eyes!!! So adorable! I love the pocket tag die! So many fabulous projects today! Wow, I love the new products—especially the Pleasing Envelopes set! Wonderful samples. Thanks for the beautiful cards and projects. Love Fawn and Flora, so cute! I think the faun and flora set is wonderful! (Love the name of it too, lol!) And of course, anything with the word “joy” is great! So excited to see more Christmas releases! LOVE the tag die – so much versatility! And the decorated envelopes really step up your cards! Can’t wait to see more tomorrow. Wow! What a way to start off the release sneak peeks! Pleasing Envelopes and Fawn and Flora are my favs today but there are really no “losers” today! Everything looks like must-haves. Lots to love today. Pleasing envelopes looks great but my favorite is Fawn & flora. So cute. The tags are beautiful and useful! So many fun ways to use them! I love sending cards in decorated envelopes – this set has great options! Sign me up for one of everything! Do you have a discount club for the entire package? I’m liking what I’m seeing!! Gorgeous! The fawn is soooo adorable! The pocket tag die and pierced windows are wonderful, and all the elements in Pleasing Envelopes are beautiful. Beautiful! Love today’s look at the new releases. The first card with the JOY was my absolute favorite so beautiful! I also LOVE the envelops that were made to coordinated with the cards. So fun! 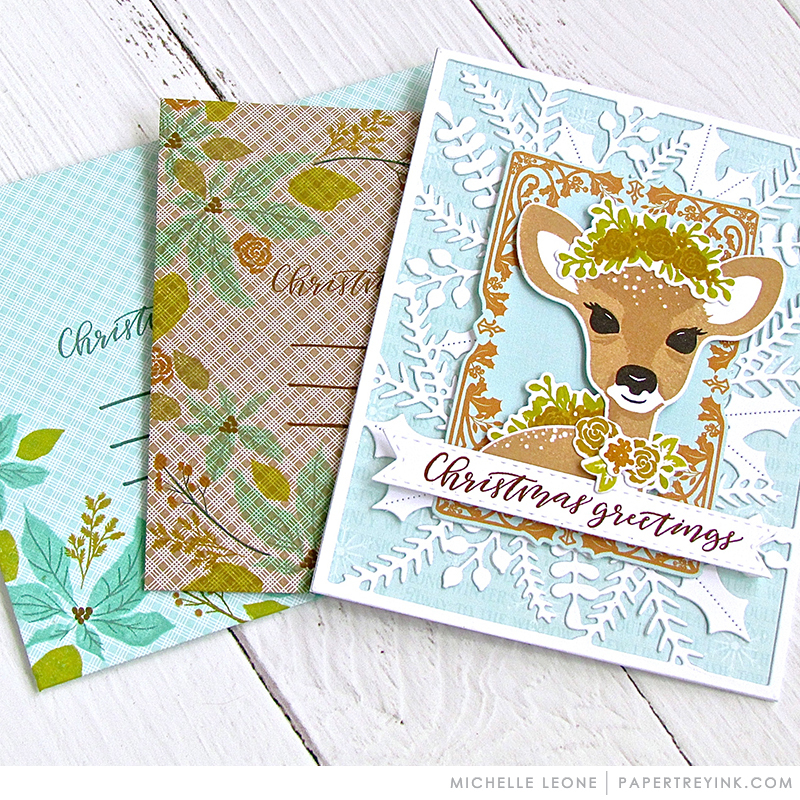 Oh my, love the Fawn and Flora set, Pleasing Envelopes and the new dies. Yikes, just when I thought I had decided on this year’s Christmas card design and then I see today’s release. Everything is wonderful including all the creative cards and tags! Absolutely love all the products showcased today! The deer is just the cutest! Absolutely beautiful things! My cart is full now, how can I make room for the next 5 days?????? Oh, that cute, little fawn! And the pocket tag and the beautiful Envelope Set…day one is fantastic! 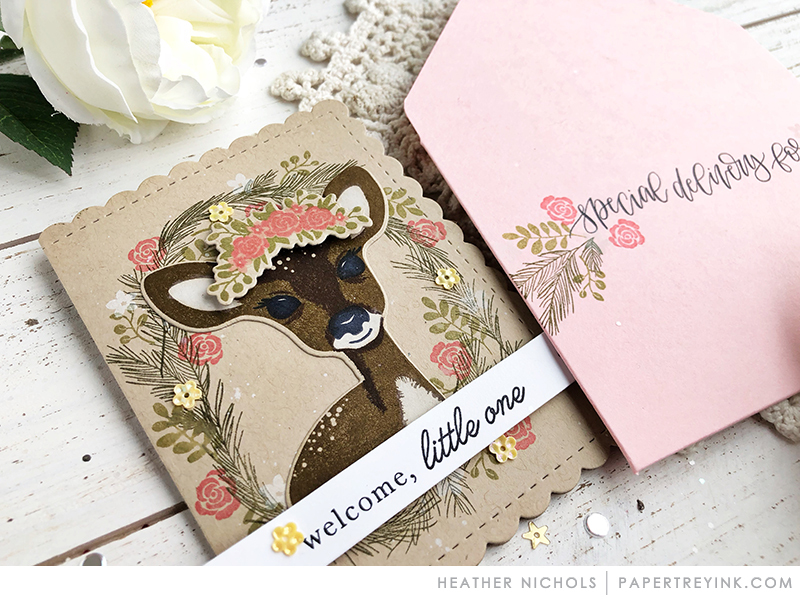 Love the sweet fawn – and all the tags made with Lizzie’s pocket die! Yes please! Lol. Everything is sooooooooo cute! 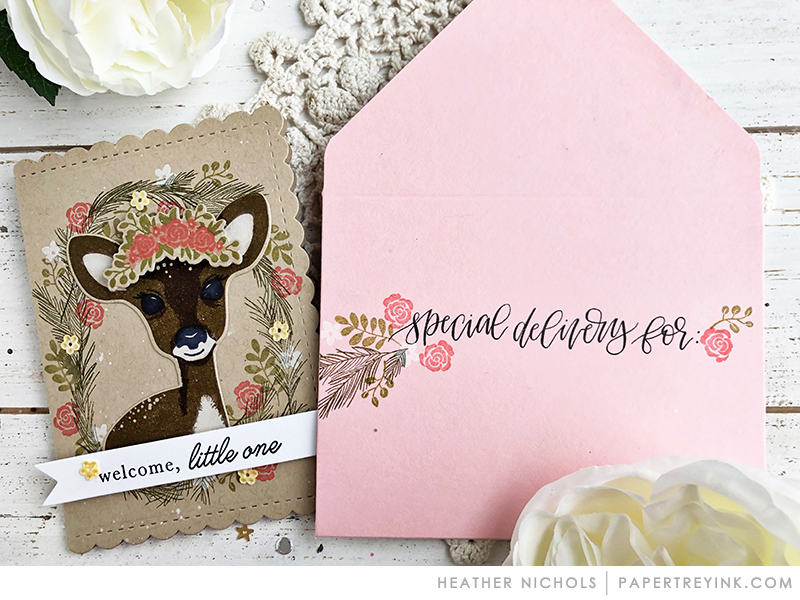 Love the adorable fawn, the pretty envelope set, sending joy….just so much goodness! And it’s only day 1!!! Beautiful new products! I am getting ready for the Holidays! So many pretty and fresh things! Holiday crafting will be extra fun this year! Wow!! I don’t know how you do it month after month!! You all are truly amazing!! Looks like another Wonderful release!! Oh my I love all of this! Especially the fawn! I don’t think I have ever seen a cuter fawn, so adorable! Day 1 is a big hit …love the Pleasing Envelopes too!! You all have knocked it out of the park again–can’t wait for the envelope adorners! I love all of the beautiful cards and projects the design team shared today. Just gorgeous! Oh, wow! This looks so beautiful! Pleasing Envelopes is exactly the type of stamp set I have been looking for!! Another stellar PTI release! That deer is just too cute! I love the new greenery stamps. What great winter flowers coming for us I love it! The Fawn so cute, and a versatile tag die. All the projects are beautiful…and this only day one!! I love that new tag! LOVE Lizzies new tag and Dawns Amaryllis is stunning! I just “a-doe” that sweet little fawn! Love that cute deer! And the Pleasing Envelopes is beautiful! Another wonderful release & inspiration projects. Pleasing Envelopes is absolutely gorgeous. I love the pocket tag also. Loving Pleasing Envelopes so much! I was really hoping for something with poinsettias! Beautiful projects from everyone. Such lovely offerings shown today! That fawn is so very sweet, and the poinsettia set is gorgeous! The pocket tag die is a must-have! I plan to make some quick & easy shaker tags with it! So excited! The possibilities with Pleasing Envelopes is huge. Can’t wait to play with that one. Beautiful!! 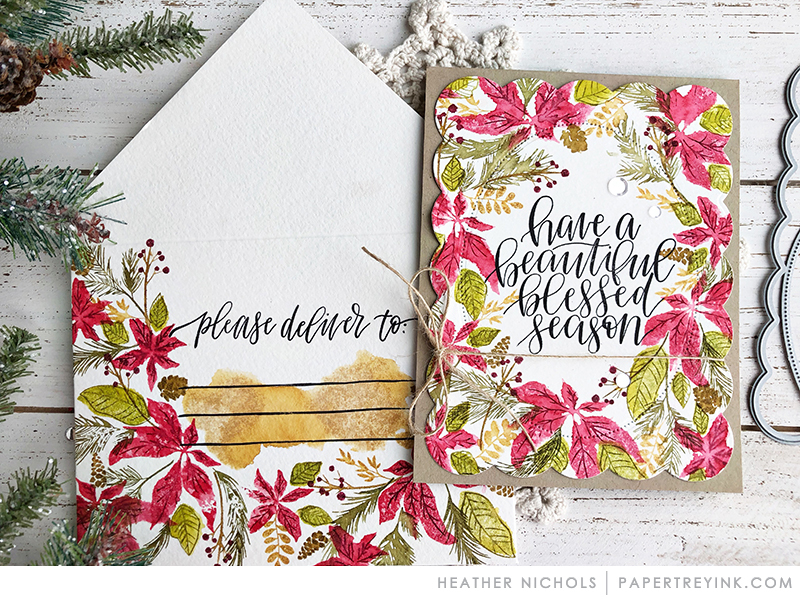 The Pointsettias in the Pleasing Envelopes set is gorgeous with lots of versatility! Love the Pocket Tag die too. I love amaryllis! It’s always a bright spot in the middle of the winter. Wonderful holiday products! Love the Pocket Tag Die and the Pleasing Envelope set! Looking forward to seeing tomorrow’s goodies! Love the envelope set–would be great to have a set like this for all occasions. Today’s favorites are the Folded Pocket Tag Die and the Pleasing Envelopes stamps. When I saw the sneak peeks yesterday, I told myself that I absolutely, positively don’t need any more Christmas stuff, but…well…I may have to revise that thought. 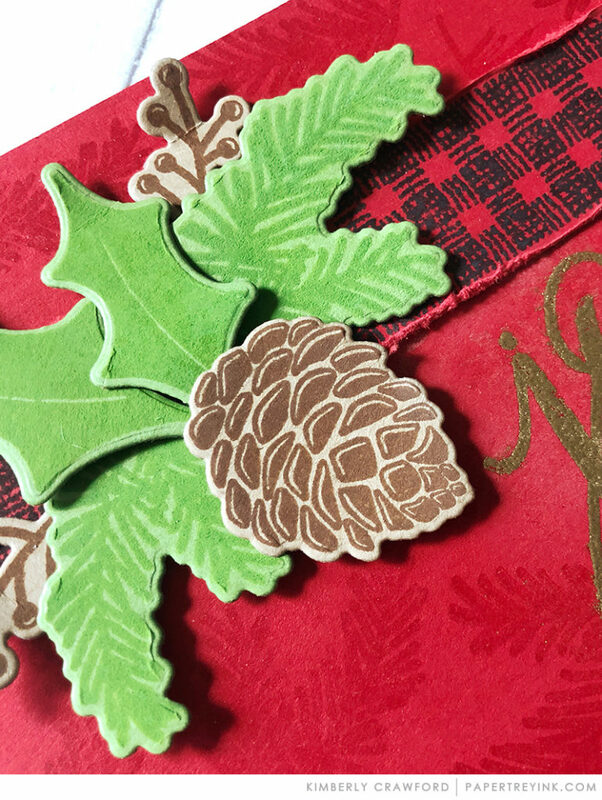 so festive and so beautiful…love that folded tag die! Wow, Pleasing envelopes is great. Much more than for envelopes. O that fawn is beautiful! This post has been so inspiring–the tag cards, especially. Wonderful! Love the Flora and Fawn stamp and die set and the new envelope stamp set! Everybody rocked it! Love Sending Joy & the Folded Pocket tag! These new stamps and dies are really getting me in the mood for Christmas and decorating. Love your Christmas themed products and projects, especially Sending Joy! Oh my!!! I’m totally in love for all the amazing new products!!! Folded Pocket Tag Die is my fav set! Wow, this is the first time in quite a while that I have wanted all of the items. LOVE the creativity and can’t wait to get stamping! Wow, the Folded Pocket Tag die is brilliant and pairs well with all the stamp sets! 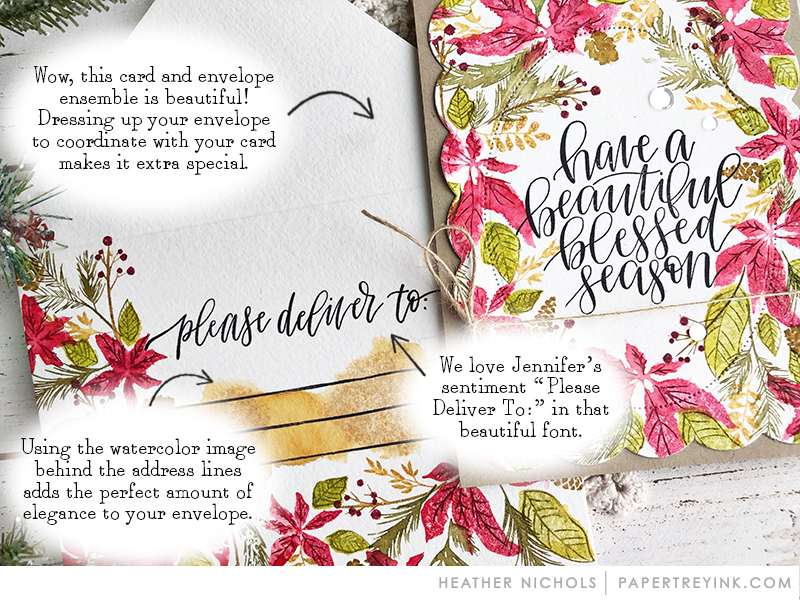 Love the Sending Joy and the Pleasing Envelope, love that watercolor look! My favorite is the sending joy stamp set. So many uses for the new Fawn stamps! Adorable! The pocketed die tag is such a GREAT idea! Loved the samples. Oh, that fawn and it’s big beautiful eyes – SOOOOO cute! Sending Joy! The simplicity but elegance is wonderful in that set. I love all of the new products! The deer is so cute and I love the envelope stamp. I absolutely love the Pleasing Envelope set. (You almost don’t have to put a card inside. I wonder how many calls I would get if I sent the envelope with no card? ha-ha). I have never purchased a poinsettia set because they just didn’t “speak to me”, but this set is calling my name! ;-). I’m instantly in love with the cute fawn. I just love everything about it ! And the Folded Pocket Tag Die is a great stash item, can be used for any occasion. I’m definitely excited about the new folded pocket tag die but there are lots of other wonderful goodies this month! What awesome samples! Everything is just beautiful! And I am in love with that adorable deer! Love the delicate florals and greenery. The deer is so cute! Love the tag die and how it can be used in so many ways! Wow, what a great start to this month’s release! Fantastic projects that you gals all created! 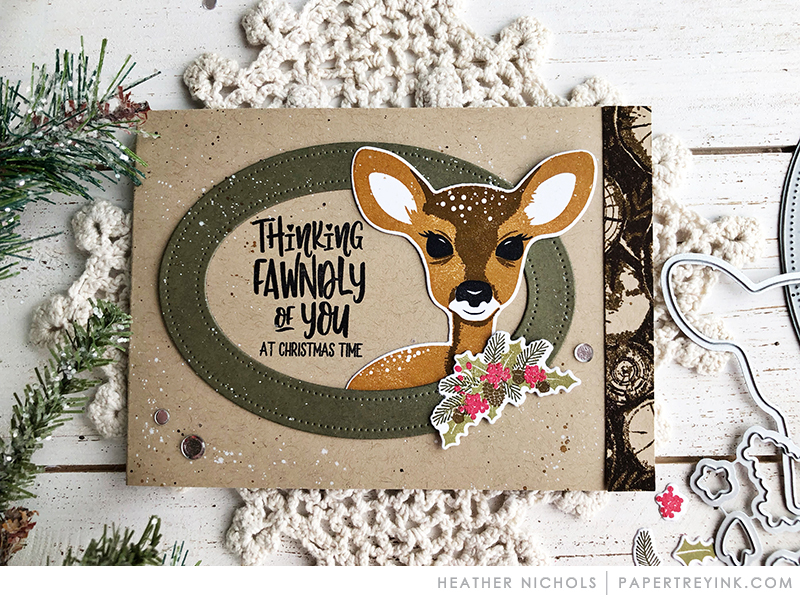 Love the pocket die, envelope stamps and dies and the punny and cute Fawn and Flora set! Can’t wait to see more about the gorgeous Amaryllis, too! Thanks for all of the inspiration! I really love dressing up the envelopes! Makes the card extra special! You guys are the BEST! I’m so in love with all your holiday stuff…..please print out a catalogue so I can check out what I want! I like to compare and check off favorites and what all is needed for each project…..consider it please then I can also share with my friends…..
What a great release for day one. Can’t wait to see what the next 4 days will bring. Nice to see ideas for envelopes. Oh my gosh!!! Everything is so gorgeous! Loving this release so far! The Folded Pocket Tag Die is adorable. Love everything so far. Yay for 4 more days of new products. I’ve seen other ideas for dressing up envelopes, but especially like Pleasing Envelopes. Wow, so many great products and it’s only Day 1! Love the envelope set. So much to love in today’s showcase!! I love the preview today. That fawn is going to be one of my favorites for cards and tags I can tell. Great samples from the design team! I really like the “Pleasing Envelopes” set- what a great idea! Love the font of the new set. Oh wow, The envelopes, that fawn… beautiful!!! Boy does Christmas sneak up on us! But I’m inspired by the first day of peeks–looks like there are some great products headed our way! Wow! Love the fawn and the envelopes. Great samples today! 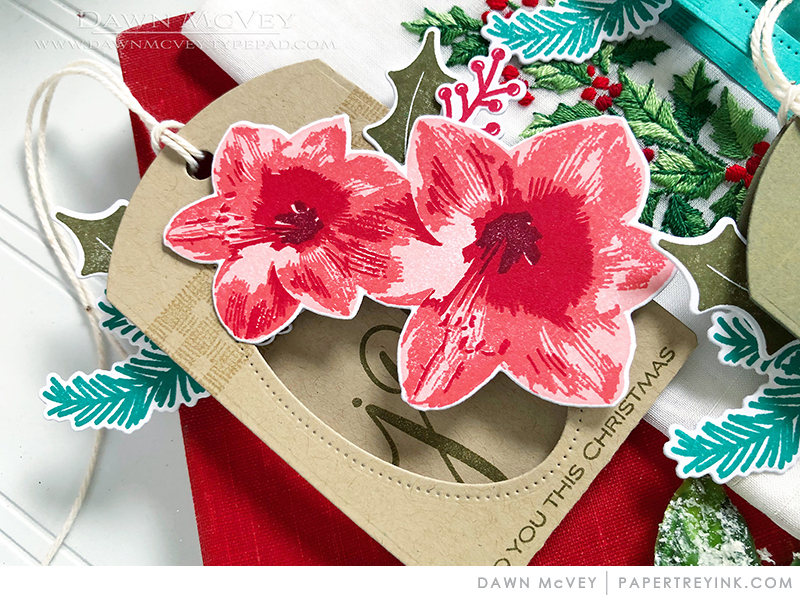 The poinsettia stamps are so pretty and I love the folded tag die! I cannot wait to see more from Pleasing Envelopes! This is a winner for me for sure! Love the Pocket Tag too! OH my, that fawn is so adorable! So many beautiful sets today – just gorgeous. Love everything today! That fawn is super sweet! Love the new tag die! I’m in love with everything! Hats off to the design team for such beautiful cards and ideas! Love this release!!!!! OH MY. My wallet is in trouble. I just added everything revealed today on my wish list. Such gorgeous and inspiring projects. Amazing …I didn’t think I could love anything more than last months goodies! The new tag is a must have!!! I am so excited for this release. That Folded Pocket die is AMAZING! Can’t wait to see the rest of the release! These projects are all so fabulous! Loving all the stamps and dies. It’s beginning to look a lot like Christmas…..Sorry, I couldn’t resist. 🙂 Can’t wait to see more of the products this month. So hard to believe that Christmas is only a little over 2 months away. I better get a move on, I have lots to get done! Love the new pocket tag die…will be a great addition to my collection of tag dies. All the beautiful envelopes are such a classy finishing touch to the cards. What a great first day! I love the Folded Pocket Tag die! And Pleasing Envelopes looks awesome! I love sending cards in decorated envelopes! “Sending joy” and “Pleasing envelopes” will suit perfectly to my christmas crafting. Looks beautifully! Day 1 release has so many beautiful products! My favorite today is the Pleasing envelopes stamp set. Love it’s versatility. All projects are outstanding … no exception. Some of my favorites are the advent banner and the deer round tag. I am loving the Folded Pocket Tag Die…I can’t get enough of tag dies! Wow! There’s some really gorgeous samples & products in this first day’s sneak peeks! Wow! 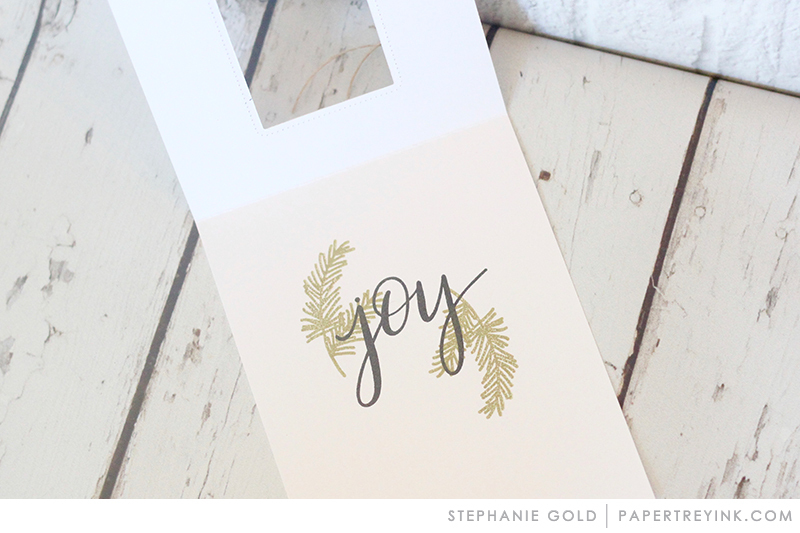 Sending Joy is so simple and elegant, and I LOVE the Pleasing Envelopes concept! I’m also a sucker for a good tag die. I want it all. So lovely! You designers are getting better and better. I swore I wasn’t going to purchase new Christmas items because I have so much already. Well that’s not going to happen. 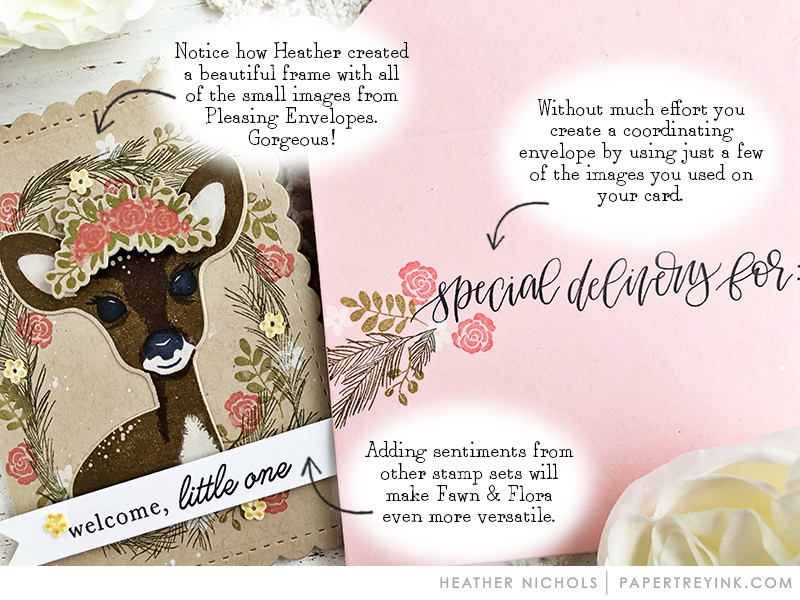 On today’s peeks I especially adore the envelope adornment set and the Fawn. Get out my wallet. “Sending Joy” looks like a great Christmas staple — especially the traditional images that will fit so many different card-making styles. Oh my gosh that fawn is so precious. Those big adorable eyes just draw you in. These three new sets and dies are already on my list to buy. I thought after last months wonderful release that you couldn’t make it any better for Christmas but as usual I was wrong. Can’t wait to see whats coming in this month’s release. This was really hard. Loved them all. But if I had to pick I love the pleasing envelopes the best. Can’t wait for them to come out. WOWSERS! this is going to be an incredible release month!!!!! I love the fawn! Very cool products! Absolutely love the fawn and flora set! In fact everything today is amazing! I’m in love with the little fawn! This release day is just great. Need everything! I can’t wait to order the fawn and flora set. I fell in love with those eyes. The new folded tag die is awesome. I love the window dies that go along with it. The deer is cute, too!!! It’s going to be another great release. Well where to start? I just love the poinsettia flowers in Pleasing Envelopes and think the Folded tags are a fantastically versatile idea for gift cards and more and who could resist that sweet fawn! That pleasing envelopes set is just so pretty and versatile! 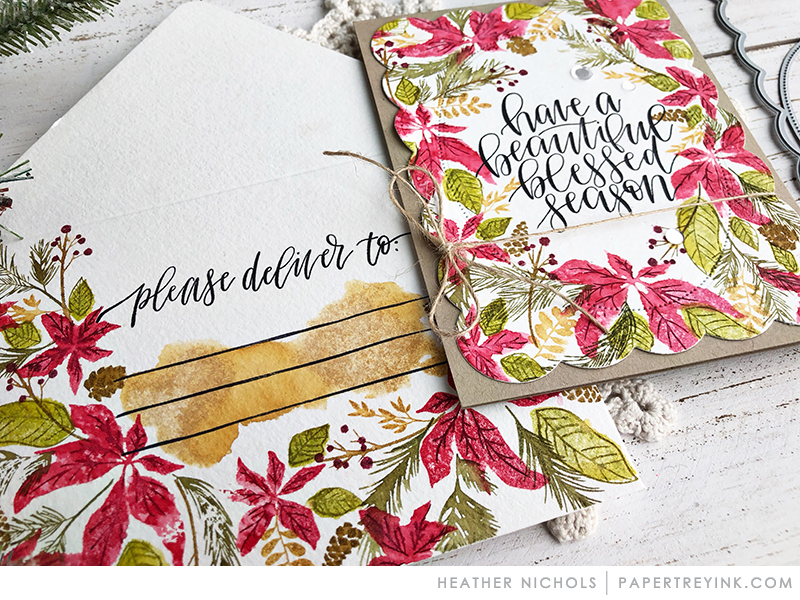 Love the fonts and those gorgeous poinsettias! A lot of great inspiration from the design team today! Oh my goodness, everything is FABULOUS. I. WANT. IT. ALL. I could never pick a favorite. Great cards, ladies. Fabulous projects by the design team and so many tempting new products! Love the adorable fawn!! That Fawn and Flora is just too darn cute! The Sending Joy stamps and dies bring joy to my heart…I must add them to my PTI collection! Oh my! I have so much Christmas stuff but I fell in love with the Amaryllis and the fawn and flora – and it’s only the first day. Such a great release. I want all of the stamps. I especially love the different color variations used on the fawn. Awesome examples! Pleasing Envelopes is stunning. Can’t wait to see everything in the release. As others have said, Day 1 and I’m already in trouble with the budget! Pleasing Envelopes is such a beautiful stamp set. Trying to rein my budget in is like trying to button my jeans. Can’t be done! What a great start to the release! So many beautiful projects! I love Christmas greenery. Love the pocket tag and the fawn-great start of this month’s release. !Wow! quiero todos los productos. Me gustaron mucho los sellos para enviar correspondencia. It’s all so beautiful! The folded tag die is awesome! I can see a million uses for it! Beautiful projects! The fawn is so cute!! As always…cutting-edge products from PTI. Love all the examples…and the fawn…too sweet! So many lovely projects to see today! I love it all! 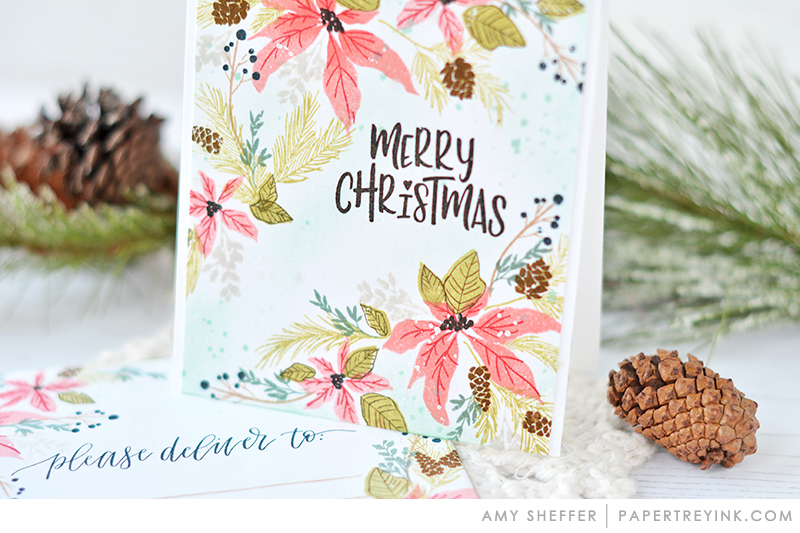 Christmas cards are my favorite, so I’m over the moon with this release–already! Absolutely love the folded pocket tag! I really LOVE the release this month !!! The deer is TOOOO cute !!!! Love it all !! Love the so cute Fawn and Flora set. What a fun Day 1, filled with lots of lovely inspiration! My favorite new product is the Pocket Tag Die. Love the Pleasing Envelopes set! Love everything today! Especially the Fawn & Flora! That little Fawn is so cute! Oh my goodness everything is just Beautiful. I just love it all. My poor credit card. What another awesome release! really lovely start to this month’s release! the design team projects are so gorgeous! What a great first day of releases. Looking forward to the rest! What a cute little deer. Wonderful holiday cards. Love this post. I love “Sending Joy”…the font is gorgeous. And, the folded tag die is a must have! So many darling cards! Love that new dawn! Love making Christmas cards! Love the Sending Joy set! Simple and elegant. What a wonderful day one sneak peek! Wonderful designs! And I love the video to kick off the sneak peek’s! What a wonderful day one sneak peek! Beautiful and very creative designs! And I love the video to kick off the sneak peek’s! Such delightful products revealed today! October is off to an amazing start!! Such an exciting release already!!! So much to love. I adore the joy set. Great start to this release. The fawn is so darn cute. Love the joy set and ways to decorate the envelopes. Just lovely. Love the fawn set after seeing the samples used as a baby card with the flower headband! Wonderful and fun products today and, as usual, the team’s projects made me like them all the more! Oh my!!! This fawn is just magnificent. Betsy you are the bomb. Envelope stamp set is also a must have thisminth. Great job girls. I do like how you add all the little tips for each project. So many fun ways to use the cute fawn!! Deer Me! Fawn & Floral is top of my list – thus far. Honestly, can’t wait to see what is yet to come. Everyone has outdone themselves again, so many gorgeous creations. I love Christmas stamps! I am loving all the fantastic options. Thank you for the gorgeous inspiration. I am in love with the Pleasing Envelopes – those poinsettia’s are gorgeous! The Pleasing Envelopes stamp set is stunning! What a way to give your holiday cards that extra wow factor. Everything is so pretty!! I love the deer; her face is precious. I LOVE the fawn – it’s the first thing on my must-have list for this release! So many amazing new products! I’m crazy about the folded pocket tag die! Only the first day and I want everything. Can’t wait til tomorrow!!! I am just starting to play with decorating my envelopes so I am really excited about Jennifer’s Pleasing Envelopes set. Just gorgeous. 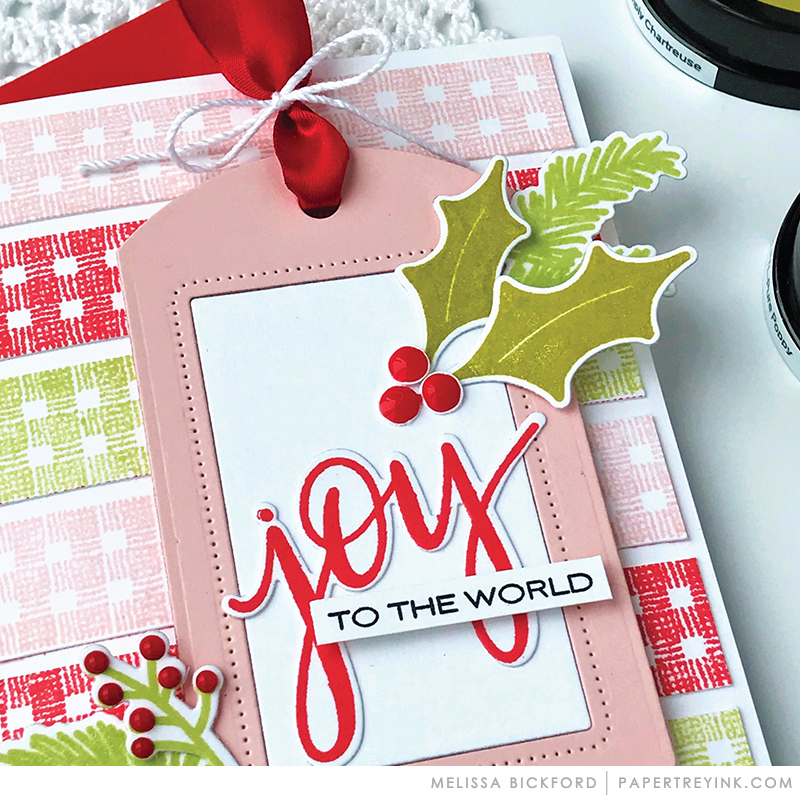 I love holiday releases and can’t wait to get my hands on your new stamps & dies! Sending Joy is so perfect and that gingham border! I am so excited! The amaryllis set is beautiful but my favorite set is Flora and Fauna! So adorable!!! The envelope set is just stunning as well as the fauna set. Your designers are top notch and really showcase these products beautifully. Pleasing Envelopes is my favorite today, I’m excited about decorating my envelopes. I hope this will be one of many. I thought I was finished shopping for Christmas products until now! More lovely Christmas products! Love Sending Joy and the envelope tag. Awesome new products! Love that adorable Flora & Fauna deer. Pleasing Envelopes is also at the top of my list!! So much wonderful inspiration, love the flora and fauna set. too cute! Shaping up to be another great release. Beautiful projects from the design team today! Love the beautiful DT samples! The envelope set is awesome and the pocket die is another must have! That little Fawn is soooooooooo cute!! i cannot believe all the Christmas goodness that is in Day 1 of this month’s release. I love all the sets and samples for today. 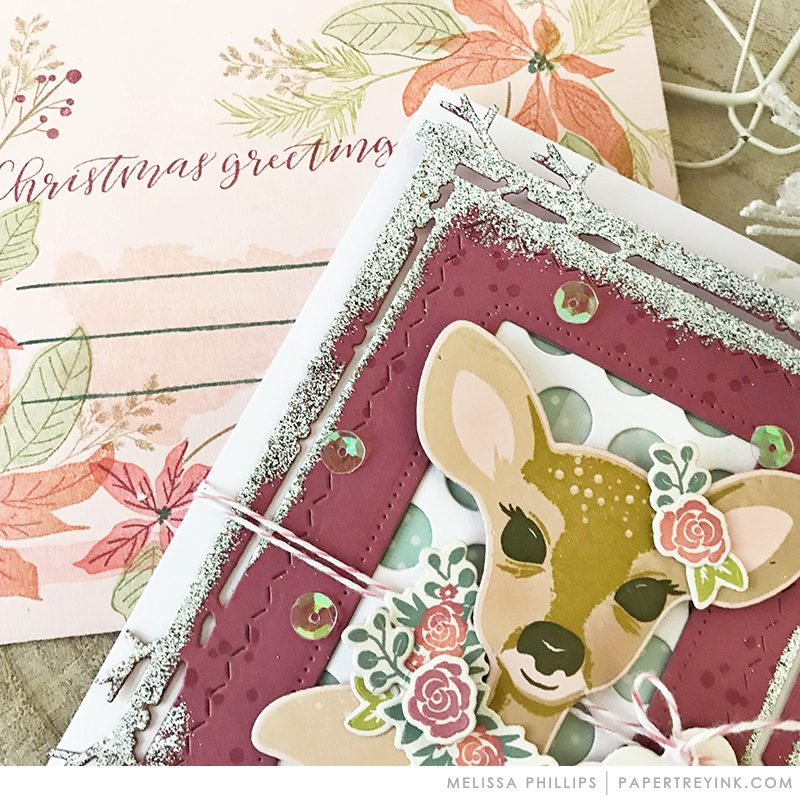 The fawn is so darling, and I love the Folded Pocket Tag Die, but my very favorite is the Pleasing Envelope stamps! I really enjoy decorating my envelopes. Thank you for such gorgeous inspiration. So much inspiration! The pocket tags are a great idea. I love it all! The deer is my favorite and the envelope set is close behind. Oh Christmas! My other favorite holiday season! Beautiful start! 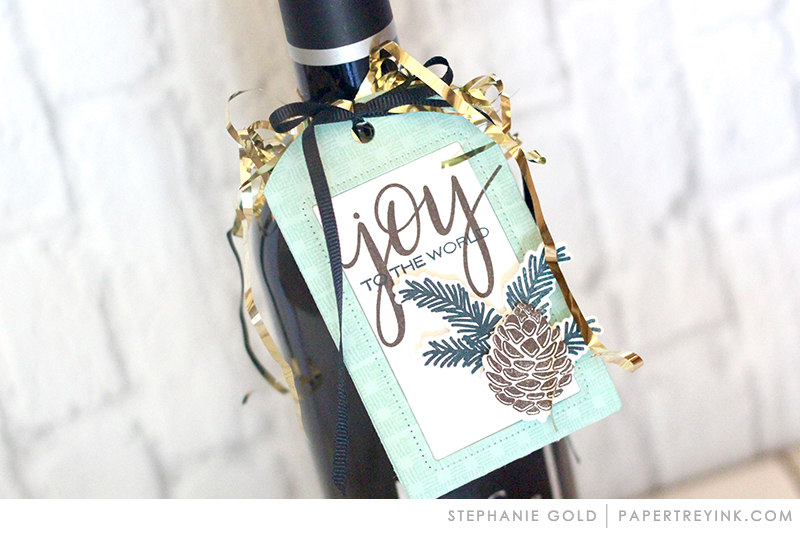 I love the Sending Joy – definitely a must have! Wow Day 1 of the release is wonderful!! So much inspiration!! 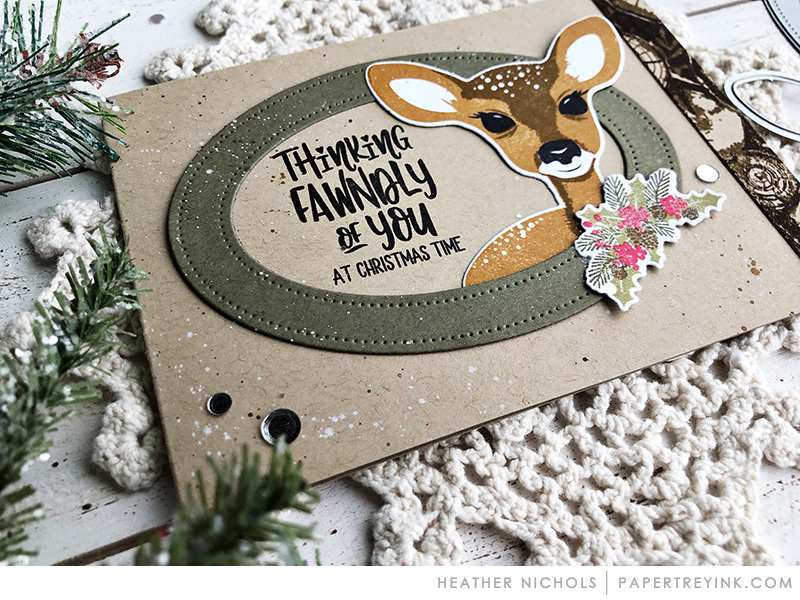 I love the Pleasing Envelopes stamps and the adorable Fawn & Flora! You can not have too many Tag sets!! That is the prettiest poinsettia stamp set I have ever seen! The Folded Pocket Tag Die is just gorgeous! I love all the samples today – thanks for the chance to win a gift certificate. I LOVE the Pleasing Envelopes set. What a fun and creative idea. I love the pleasing envelopes set and the pocket die. Can’t wait to see everything else this week. Lovely projects! My list is started. Start day of another great release. The little deer makes me smile and I am finding the decorated envelopes a nice change to the boring plain envelopes of too many years. Love the new folded pocket tag die! Fabulous projects from the designers! fell madly in love with the deer, he is the prettiest deer I have ever seen!!! Im in love with the new tag and the new sweet way to address your envelopes !!! Simply beautiful!!!! The fawn is super adorable! Love the new Pleasing Envelopes and the new Tag die! Great projects by the design team! The fawn set is so cute! Gorgeous cards! And I completely agree. It’s always fun decorating the envelope to match your card! SQUEAL!! LOVING the RELEASE and the AMAZING Inspiration!! CAN’T WAIT to see MORE!! THANKS for sharing and have a FABULOUS WEEK!! Today was so much fun! Great inspiration and I can’t wait to see what the rest of the week holds! Pocket tag die set all the way!! I love the poinsettia in the Pleasing Envelopes set! And the new folded tag die! Love seeing all of the new PTI products! Just when I thought I had all the tag dies I needed you are introducing the new folded tags. They go straight on my wishlist. The Folded Pocket Tag die is my favorite item featured today. The designers have showcase its versatility so well: tag, frame on cards, advent calendar, giftcard holder, pocket, etc… I really like the delicate dotted frames. I am absolutely loving everything featured today and the Design Team made a bunch of gorgeous creations! I have to say though that little Fawn is so darn adorable and pretty that my eye just kept being drawn to it. Totally in love! I love Betsy’s new set Fawn and Flora! So adorable! What a great start to this month’s release. So glad you came up with t he Pleasing Envelopes. This will be really great for my Christmas cards this year! The fawn is adorable. It’s a must have! The deer set is so creative! It’s a great start for this release! Love the envelope stamps and the fawn!! Great way to start off a release! The dawn immediately caught my eye. 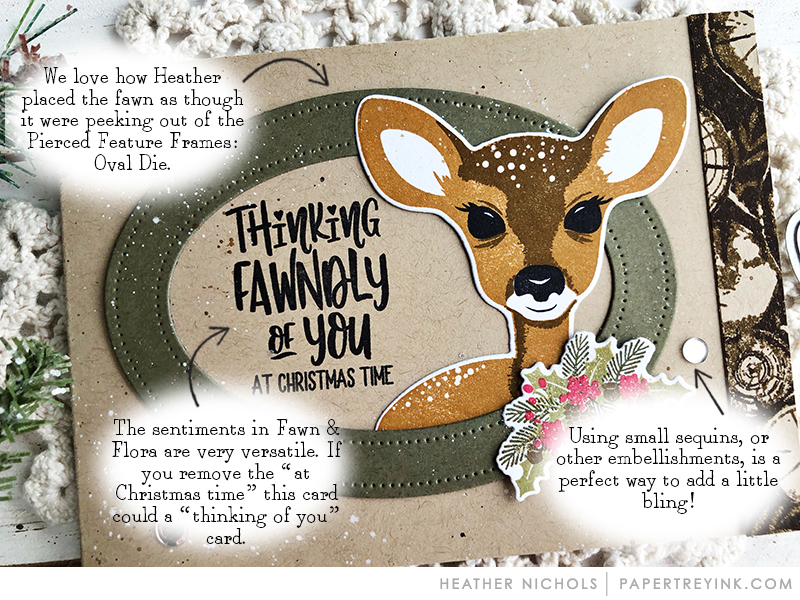 I just love the little fawn, so adorable and then the envelope stamp set would be a perfect addition to all of my holiday card making. Love all the unique Christmas items! My Christmas card envelopes will look gorgeous this year! Love the Pleasing Envelopes set. Great showcase today! Those envelopes are just gorgeous! Love the beginning of this release, this cute deer ❤️❤️ Amazing. And the envelop art is so cool. The postman with love the season this year. Keep going…. I really love it! Fawn & Flora is totally adorable! I love how she can wear the floral pieces. So cute and totally clever!! What is there to say but “OH, DEER!!! 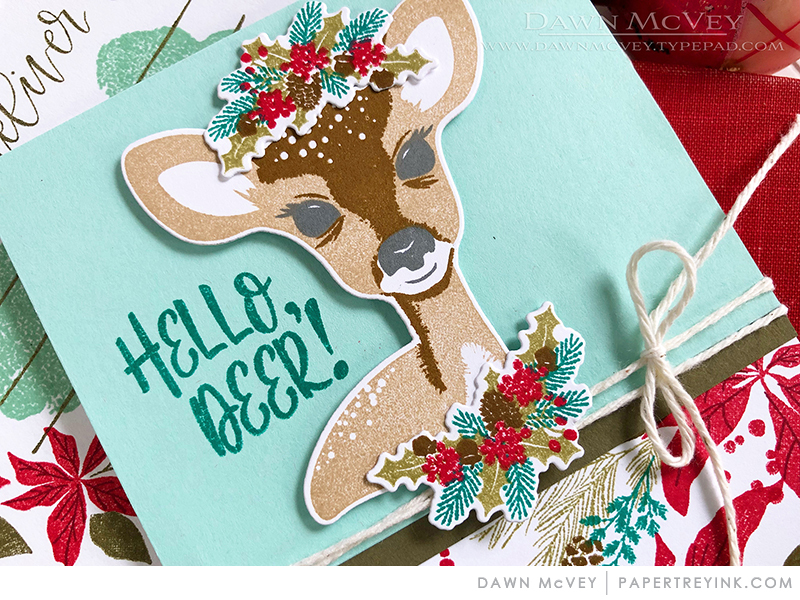 !” Beautiful projects by the design team with this gorgeous fawn! Such beautiful samples. I cannot believe it is already another release week! That fawn is just perfect, and could be used again in the spring time. Love those big doe eyes and thinking FAWNdly of you sentiment!! Oh yes! The colors and awesome new items make this release so exciting. My want list is simple. All of them. And thanks for the great video. I can’t wait to order the Fawn & Flora set! All are so cute, but that has to be my very favorite! Oh my! I’v got the air conditioner running today in Baltimore, but you girls have me thinking Christmas! Thank you! Time to get moving on those holiday cards. Wonderful inspiration here. I’m loving this month’s Corner Adorner set…it’s so very versatile! Love the sweet little fawn! So many beautiful samples from the team!! The Project and Card examples are fantastic! I love the bright and attractive colors used on the Tag, Envelope, and Joy design team work. Omg. That daw is adorable. Love that set! 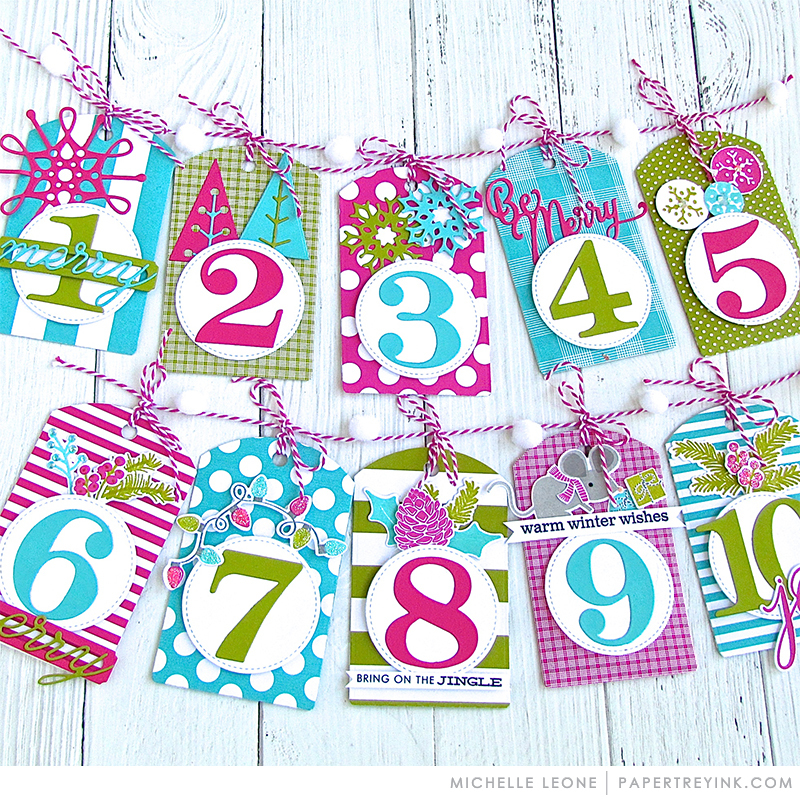 I adore the holiday advent banner the colours are so gorgeous, I want to make it right now! The fawn is really cute too, great ideas and inspiration as always! 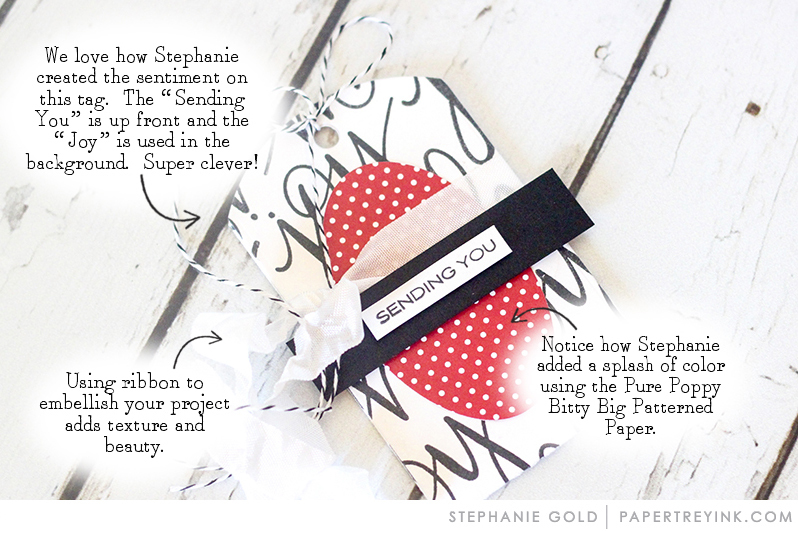 I really love Stephanie’s creations today, makes me want to make some beautiful tags. The deer is so cute. Love all the inspiration. Great pocket! The fawn – can’t wait!!! What a very cute fawn. A great idea for a stamp. So many beautiful and adorable projects by the team. I love anything to do with Christmas. Oh what beautiful and creative products and creations. Love the gift card holder, so clever to have it designed as a tag. Sending joy looks like it might just be a favorite of mine. Just darling and wonderful inspiration! Happy Holidays! The fawn is so cute and my Christmas cards will look so beautiful with all of the ideas to embellish them! Can’t wait for more! That fawn is adorable! Love the gingham in Sending Joy too. Great start to new release! Love everything so far! Keep it coming! I need Chistmas inspiration! Thanks DT! I absolutely love this!! Everything is amazing and I can’t to purchase and create!! 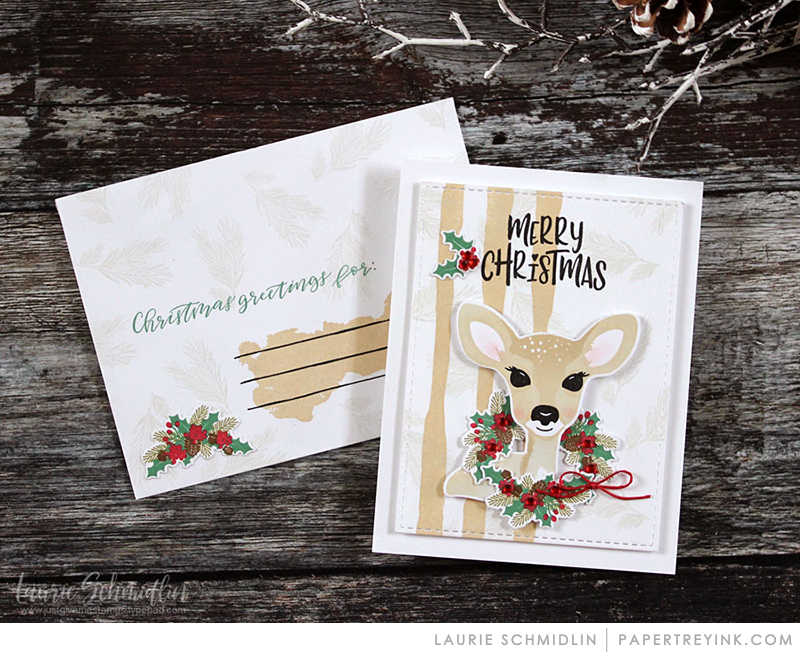 Pleasing Envelopes and the Fawn set are definitely must-haves!